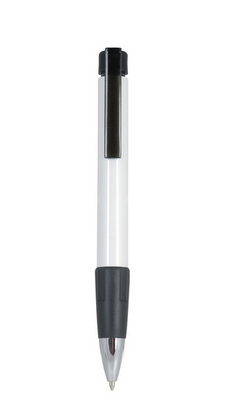 Generous barrel with translucent grip, chrome tip and large clip. Jumbo Refill. Black Ink.